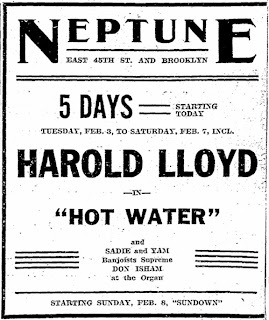 BACK IN THE VAUDEVILLE ERA – when there were countless stage performers barnstorming around the country trying to catch a break in any venue that would have them, many theaters across the Pacific Northwest mounted multi-act shows every week. There would be singers, dancers, comedians, jugglers, elocutionists, whistlers, thespians, trained dancing animals, wrestlers, and musicians of every stripe. Two of America’s largest theater chains got their start and/or were based out of Seattle: the grand Orpheum and Pantages enterprises. 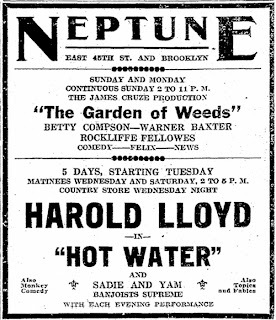 But plenty of other nice, if smaller, theaters also booked such shows. 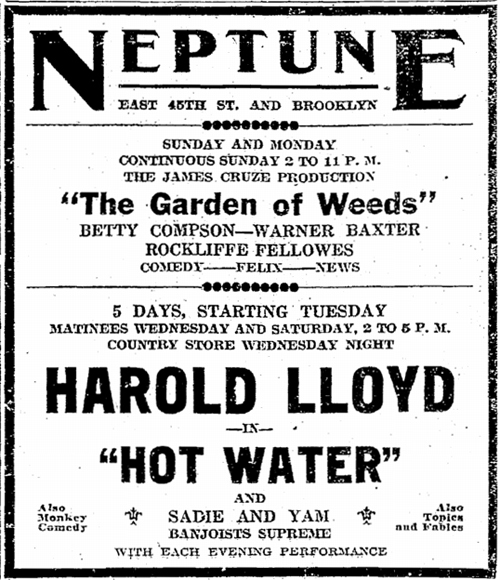 Among them was the fabulous and still extant Neptune Theatre (1303 NE 45th Street), which opened in Seattle’s University District on November 16, 1921. 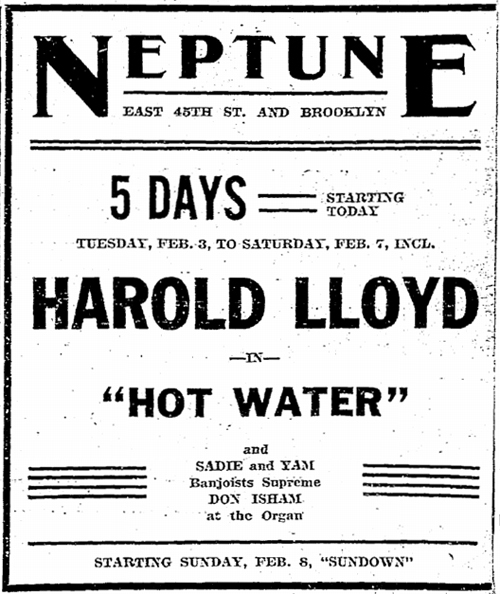 One vaudeville act that hung around town for at least a while – they had numerous promotional photographs taken here, and also played music downtown on the pioneering KFOA radio station – were SADIE & YAM - “Banjoists Supreme.” A married couple, Yam and Sadie Stephens, played the Neptune as early as 1925, but it is also known that they popped up at the Hippodrome down in Portland, Oregon, and as far away as Ypsilanti, Michigan. One Portland newspaper review stated that there were “A versatile pair…who play their banjos so well that they hold their audiences charmed. They introduce new harmonic ideas and novelty methods of playing. 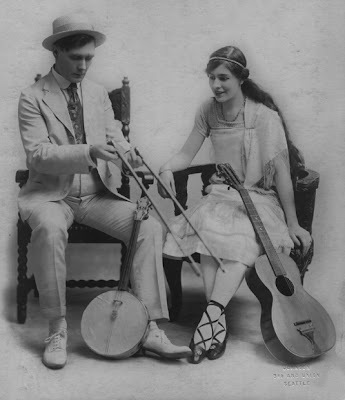 They are experts on the banjo.” Among the tunes they performed were: “Grand Opera Strains,” Theobald Boehm’s “March Militaire,” Frank Meacham’s “American Patrol,” Abraham Holzmann’s “Blaze Away,” Henry S. Cuqua’s “Medley of Old Songs,” and Thomas S. Allen’s “Lot o’ Pep.” While not much more is currently known about Sadie and Yam, those of us in Seattle are lucky that the Seattle Theater Group (SGI) acquired a lease for the Neptune in 2011, and they have been mounting regular live music shows there ever since.